24 Hour Grab Hire And Ground Works In Birmingham! Looking For Same Day Grab Hire Birmingham Or Aggregates Supplies? Welcome to ENC Grab Hire in Birmingham– We are your local grab hire specialists we offer Grab Hire and Aggregate Supplies. When it comes to providing a high quality solution we know the answer when your in need of a fast reliable same day service. Grab Hire is perfect when you have massive amounts of waste or rubble that needs removing quickly and cost-effectively, or you need materials moved somewhere. But this service works well if you need waste collecting in hard to reach areas. We are very proud of the level of service we can provide to our customers compared to a hiring a skip, hiring a grab can carry a lot more of your waste compared to a builders skip. ENC only operate the big 8-wheel lorries with a capability of 16 tonne once we are fully loaded. Our lorries have a long reach crane this enables us to provide you with a quick and easy waste removal solution. ENC's drivers we provide are fully trained and certified to operate our lorries, and are skilled enough to collect waste or deliver recycled aggregates in a safe and responsible manner. We collect all types of non-hazardous waste so from soil and wood to concrete and bricks. We are trained with working with different types of waste and in different environments. Not only are lorries good for removing materials from a building site or construction site there very handy for moving material to where you need it. 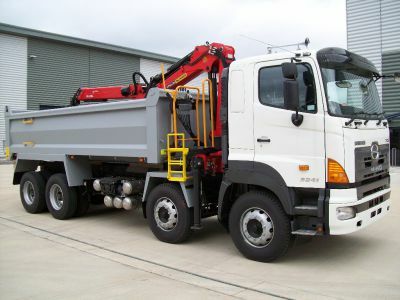 These vehicles are very versatile and a alternative to the conventional skip. This is because of the arm, these vehicles are capable of accessing areas over fences, hedges and walls to work, so this will reduce labour and man hours for our customers. Unlike with hiring a skip, you don't need a permit to keep your waste in and the skip sitting on the side of the road for long periods. We are one of many grab hire companies around the City of Birmingham but what makes us "Head and Shoulders" above our competition is we show up when we say we are coming Unlike many similar companies operating within the Birmingham area. So when you choose ENC your choosing more then just a company. Our experience, proficiency and knowledge of the best ways to tackle the removal of your waste issues. For a name you can trust and a great service from start to finish you can be sure will satisfy your requirements, to find out why we are your number one choice Call us today on 07475040066 We work closely with local authorities to ensure that our services are always environmentally friendly and non disruptive. With years of experience in this field of work we have a genuine focus on our customer demands. Our service is so versatile and this allows us to remove your waste materials in the no hassle convenient way to our customers. If you have big amounts of waste or rubble in a difficult to reach place then ENC is perfect for you. If you are interested in using us for our grab hire service or would like more information, please do call us on 07475040066 or email us on our contact page.